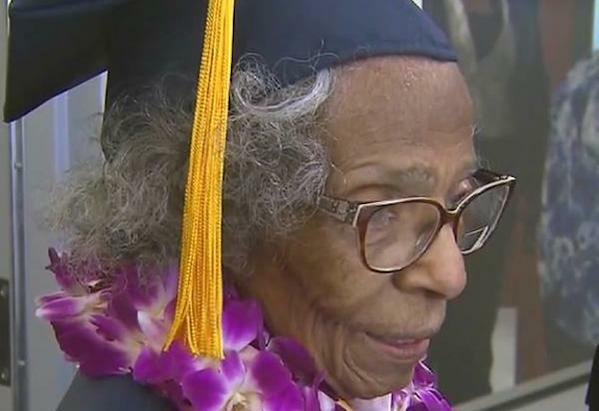 As graduation season continues, one college graduate is inspiring us all by getting her degree at the age of 99-years-old – proving it’s never too late for education. Doreetha Daniels collected her associate’s degree in social sciences at the College of the Canyons in Santa Clarita, Calif. With the help of her tutors and relatives, Daniels was able to stand at the podium Friday and receive her degree. Daniels says she was inspired by her grandchildren, and after getting bored of her hobbies, she said elevating her education was the right thing to do. Congrats to Daniels and her family for uplifting us all.